Satavahana University Degree Results 2019: Satavahana University scheduled to release the Degree results of undergraduate courses like BA, B.sc, B.Com, BBM & Other Courses of 1st, 3rd, & 5th Semester for the November/December 2018 examinations. Those who are given the examination can check their individual results on the scheduled date and time. Satavahana degree results are out for the day on 4th April 2019. Those who are waiting for the results can check the 1st, 3rd, 5th semester results. UG Suplementary results released on March 26th 2019. Satavahana University Pharmacy results are declared on 20th March 2019. And further degree results also soon to released by Satavahana University examination branch. 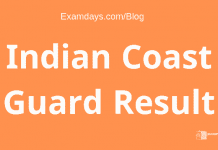 Those who are appeared examination in Nov/Dec 2018, those candidates can bookmark this page and eye on this post for more updates and results information. Satavahana University Results released 2019, those who are waiting for the university results, can check the complete results from course to course wise. Check the results as per the UG and PG odd semester wise and even semester results in Satavahana degree results page. Satavahana University has already finalized the script corrections and prepared for uploading results digitalized, once the process completed, the results will be likely available in the middle of February 2019. 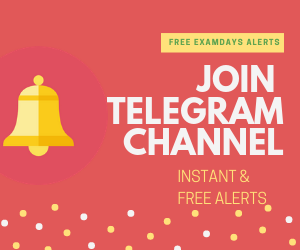 Candidates can check from 2nd week Feb 2019 onwards or bookmark this page for update alerts. The courses which are given below are completed the examination in November/December 2018, Candidates can check these course and the results will be available as per year and semester wise, check the satavahana university 2nd sem results and 1st sem results, and satavahana university 5th sem results. The satavahana university results are scheduled to out from the SU University examination branch after the finalize of results. Navigate to right events tab, and select the appropriate option “UG Results” and once new window opens, the candidates have to use their login credentials ( Registration Number and DOB). Once SU University results displayed, take the print out copy for future reference. satavahana university results Karimnagar results available in scheduled date. The official website for results at www satavahana ac in results and satavahana ac in degree results 2019. All the results are available in the above University results page, candidates have to refer the above link to get appropriate results. Results of B.Pharmacy IV-I / III-I / II-I Semester January’ 2019 Examinations. WALK-IN INTERVIEW FOR THE TEMPORARY FACULTY POSITIONS ON CONTRACT BASIS IN PHARMACY”. Guidelines for University Level Youth Festival-2019. LL.B. V semester fee structure. MBA 2018-19 FEE STRUCTURE – I SEMESTER AND III SEMESTER. University Sports Board Revised Circular -2018 on University Website for effective communication. Faculty Development Programme (FDP) on Nai Talim Experiential Learning (Work Education) from 12th to 18th November. One day workshop on Nai Talim Experiential Learning (Work Education) on 2 nd November, 2018 and Faculty Development Programme from 12 th to 18 th November, 2018 for the faculty members of B.Ed Colleges at University College of Commerce and Business Management, Satavahana University. Further questions and doubts, candidates use the below comment box for questions and answers from other candidates and team members. Hii sir exam complete ayyi more than 100 days avuthundhi but meeru maku results gurinchi chinna information kuda ivvaledhu say the correct date and time …..
Today UG revolution results are released, further pending results will be released soon from SU end.